First off, I wish I could read this myself, but I would just start blubbering like a baby and you wouldn’t be able to understand so I've ask Sunny to read it for me……Hopefully in the next month or two I can personally come to a meeting and thank you, just still very emotional at this point. I just wanted to take a quick moment to thank you all for your generous donation to our family in our time of need. It made things so much easier, and I had no worries on where things were going to come from or where I was going to pull from to make things happen. I was able to do things for the memorial that I wouldn’t otherwise have been able to do without your help. I am in the process of sending out thank you cards as well, please don’t think I have forgetten, just crazy busy with all the kids and being back at work now. Thank you to all who came out to show support for our family especially with Andrew! He’s been having a really hard time dealing with things lately, and I know it will take time. Having the Gear Grinders stand behind him and encourage him has been nothing but amazing. It has been rough since David’s passing as his birthday was October 29, now Thanksgiving and Andrews bday on the 30th and then Christmas. They say the first holidays are the worst and its proving very true. Please just keep our family in your thoughts and prayers that we continue to do what we have to do to make it a good holiday. In the beginning of all this you take things for granted, I never even imagined being a single mom of 3 at this age, but by the grace of god and amazing friends I know I can get through anything. I appreciate ya’ll more than words can every express. Eddie and I would like to thank all the Gear Grinders who came and gave up support during the passing of our beloved Mother Ruby (MeeMee) Zipp Teal this past week. It made our hearts feel very good to know that so many of you were there with us either in thought or in person. Thank you also for honoring MeeMee's wish that you not send flowers, but rather make a donation to one of the wonderful organizations that helped her so much, especially Odessy of San Antonio (Hospice). This is an extremely wonderful organization. They made Mom's last few weeks very peaceful. Thank you all again and God bless each and every one of you. The Gear Grinders would like to thank Wayne, Hughleen & Don for the untold hours of hard work and dedication that they gave to make the car show such a success. The amount of time that is required to get all the cars entered and the commercial vendors registered is unbelievable. We ose them a great big Thank You! 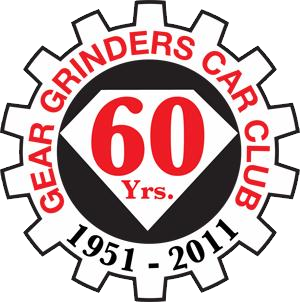 The club would like to extend a heartfelt thank you to John Bradley for taking the initiative to keep the history of the Gear Grinders and for maintaining all of the documentation over the years. He has turned all of the original information over to Sunny Castille-Zipp who has promised to take great care of it. Thanks again John, without you doing that, there would be little written history of the club available. A great big Gear Grinder thank you to Janet for all her hard work on getting the new computer for the club. A great big thank you to Al for always volunteering to cook us up some great BBQ at our club functions. That top secret sauce of his is absolutely awesome! Guys, I cannot tell you how great you made me feel when you voted me into the club Then, I realized it was probably only because you wanted me to do the secretary stuff . . . Hmmmm ? ? ? Seriously though, I really enjoy doing things with and for the club. I know Hank says I'm a sick puppy, but oh well. Thank you also for the VISA Debit Card. It certainly was not necessary but was very much appreciated. Thanks to all of you for making me feel very welcome. MANY THANKS FOR THE DEBIT CARD THAT YOU GAVE ME! SAD TO SAY I HAVE ALREADY SPENT MOST OF IT, BUT IT WAS FUN! AGAIN, THANKS TO ALL OF YOU! We are very lucky to have Dr. Larry Wood as a member of the Gear Grinders. At our July meeting, President Butch and his wife, Tammy presented Larry with a very nice placque and a gift certificate as a small token of our appreciation. Larry has provided untold hours of service and medicine for our pets, and has done so without so much as batting an eye. He also assisted our Special Olympics Team to the state tournament, where I might add they took 1st place. Way to go guys! Larry there aren't enough words to say what a great guy you are. If you need a great vet call Larry at 210-828-1406. His office is located at 1634 NE Loop 410, San Antonio.